Why isn’t VIA Rail adding more trains? VIA Rail is a federal crown corporation funded at the discretion of the federal Cabinet of the day. It has no power to borrow private money and is therefore financially and politically emasculated. Since it’s founding in 1976 it has been subject to incumbent government transportation ideology that has been hostile towards Canadian intercity passenger rail. Currently southwestern Ontario has half the number of VIA trains it had in 1982. Canada is the only G7 country to slash intercity passenger rail while all others have invested heavily in route expansion, modern equipment and fare payment options. VIA Rail has appealed to the federal Transport Minister for funding for new equipment to replace that built in the 1950s to the mid-1970s. The response has been to launch a new, federal study on equipment and routes that will further delay new investment. The federal government believes VIA Rail is largely irrelevant to most voters and, consequently, it can safely ignore a growing crisis in Canadian intercity passenger rail. Without funding for new equipment VIA struggles with ridership growth of around 3% annually. It therefore prioritizes equipment and schedules to meet times and places of greatest demand which is why they use airline-style ticketing. Advance booking can secure an attractive fare but the penalties for changes can be draconian. This discourages “walk up” ridership that could boost passenger numbers significantly. By international standards both economy and business class cabin services are excellent but they, along with obsolete equipment, drive up VIA’s operating costs which either means more per-passenger subsidy or higher ticket prices. VIA Rail uses tracks owned by Metrolinx, Canadian National (CN) and Canadian Pacific. Increasing commuter and freight volumes constrict VIA’s ability to add extra trains, even if they had them. A previous federal Transport Minister funded track expansion to improve the speed and timekeeping of VIA’s trains between Toronto and Kingston and similar, carefully managed investments between Toronto and London could prove beneficial to both VIA and CN. However, there is currently no political will to do this. VIA Rail remains frozen in time and more of a hobby for federal Cabinet ministers than an essential public service. 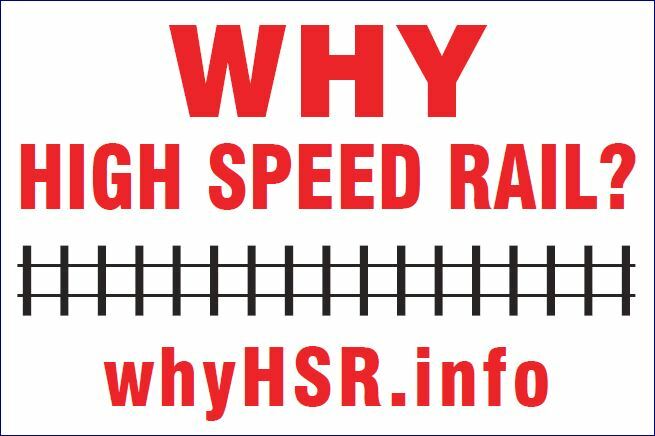 ← What is the difference between HSR and HPR?